1Excludes L model. Not available with special financing, lease and some other offers. See participating dealer for details. 2**Prices do not include government fees and taxes, any dealer document processing charge, any finance charge, any electronic filing charge and any emissions testing charge. 3Excludes L model. Not available with special financing, lease and some other offers. See participating dealer for details. 4Must qualify through GM Financial. Not available with special finance, lease, or some other offers. Take delivery by 04-30-2019. See dealer for details. 5Conditional offer. Not available with all other offers. Stackable % Cash Back for customers who have owned or leased a 2005 or newer non-GM vehicle for a minimum for 30 days. Must take delivery by 4/30/19. See dealer for complete details. 6Lease Loyalty Purchase Private offer to eligible 2014 Chevrolet, Buick GMC or Cadillac lessees only toward the purchase only of certain Chevrolet vehicles. See dealer for details. 7Excludes L models. Monthly payment is $13.89 for every $1,000 you finance. Example down payment: 5.2%. Must finance with GM Financial. Some customers may not qualify. Not available with lease and some other offers. Take new retail delivery by 4/30/2019. See dealer for details. Check out the new Chevrolet Equinox at our dealership, F.H. Dailey Chevrolet, near Hayward. This crossover creates a striking impression with its streamlined exterior and 18-inch custom-styled aluminum wheels. This beautiful crossover features a roomy interior; with its Multi-Flex® sliding rear seats that glide back to provide you with increased rear leg room space. Along with its roomy interior wherein the seats come with a 60/40 split-folding design, loading as well as unloading cargo is so much easier. Along with a number of advanced safety technologies, like rear park assist, rear vision camera, or side blind zone alert, this vehicle keeps you and your family safe by stopping any kind of incidents. This vehicle provides state-of-the-art connectivity technology; its built-in 4G LTE Wi-Fi® can connect as many as seven devices which will keep you connected throughout. Visit our dealership, F.H. 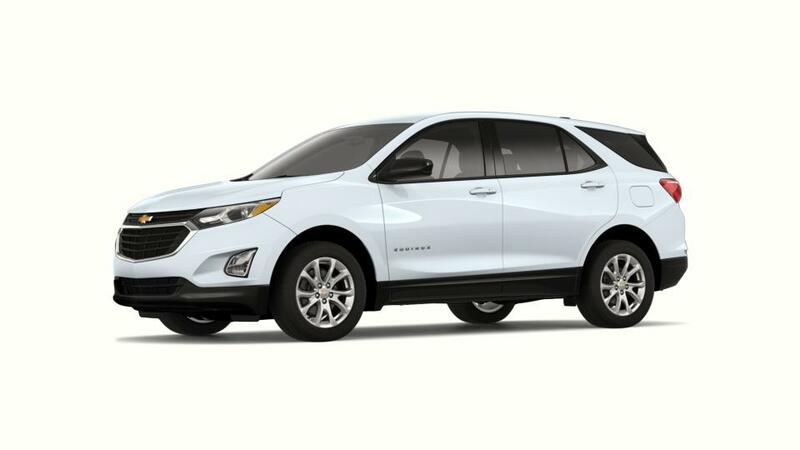 Dailey Chevrolet, to know more about buying or leasing a new Chevrolet Equinox in San Leandro.